Carolina Leid is live in Central Park with the latest details. 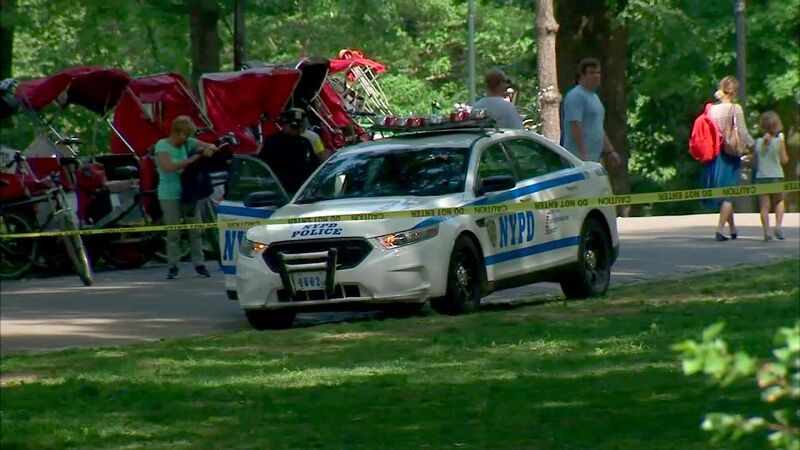 CENTRAL PARK, Manhattan (WABC) -- Police are investigating after a body was found inside Central Park near Columbus Circle Thursday afternoon. The NYPD said someone called 911 at about 1:45 p.m. saying there was a man in the park near 59th Street and West Drive who needed help. When officers arrived, they found a fully-clothed man who was unconscious and unresponsive. He was 69 years old. The medical examiner's office will work to determine how the man died. So far police say there is nothing suspicious about it. In the meantime, police have roped off the area and are collecting evidence. Witnesses say the park was very busy when the body was found. The man who came across the body said he thought the man was sleeping at first, then saw signs that he was dead. "I looked over and saw that it was a guy just laying there, he wasn't moving. I saw a lot of flies going in his mouth and once I saw them going in his nose, that's a sure sign of death," said Joseph Hurt.